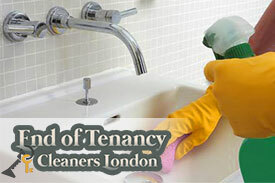 Our company in Somers Town and Primrose Hill, London has been providing cost affordable and efficient end of tenancy cleaning service throughout London for many years. We have served many landlords, tenants and estate agents owners successfully. You should inform us 24 hours before the cleaning takes places as we need to organize everything for the end of tenancy solution. 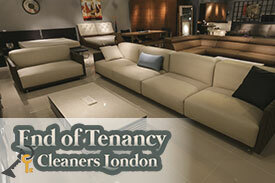 End of tenancy cleaning sounds intimidating at first, especially if you never moved out of an apartment before. Thank the lord I found you guys as soon as I did, for all that work would have been quite detrimental to my lower back. Thank you and I will be calling you again. Please pay attention that upholstery cleaning, window cleaning and carpet cleaning are not included in the initial end of tenancy cleaning package. However, you can always add them to the service. We will make the kitchen hygienic and remove all the leftovers. Entire cupboard will be cleaned, the inside and outside parts of oven and microwave will be washed properly. The dishwasher is also cleaned with proper solutions and all the spills will be removed. The fridge will be cleaned and defrosted, countertops window ledges are damp wiped, and the floor will be hard washed. We will not miss any area and clean the door frame, skirting boards and radiators effectively. It is very important to sanitize and de-odorize the toilet to keep the house clean. We will disinfect your bathroom and scrub the floors, sinks, mirrors, showers, toilet seat, etc. The counters, skirt boards, and door frames are cleaned and de-scaled. The bedroom will be moped and made beautiful. Every area will be vacuumed, dusted and washed. The cobwebs and litter are removed and carpet edges are vacuumed. The doors and windows in the room are cleaned and wardrobes and cupboards are made dirt free. We will polish the tables, wash carpet edges, and remove the dust from your living rooms. The professionals will effectively wash the living room and remove litters.